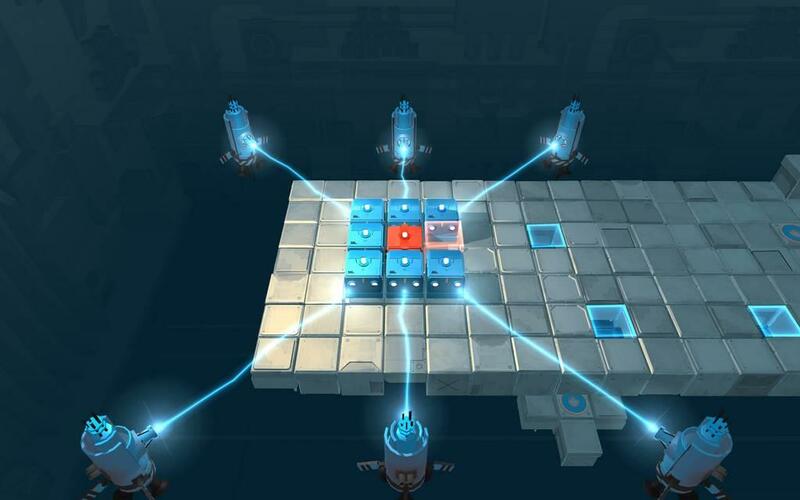 SMG Studio released their puzzler Death Squared on Steam back in March, and to highly positive reviews, but you would think it was designed specifically for the Nintendo Switch. It works so well with the Joy-Con and in portable mode, that it fits perfectly with the console’s pick-up-and-go, multiplayer-anywhere ethos. What’s more, the accessibility of the gameplay and the game’s brilliant self-aware humor make Death Squared the perfect party game—certainly more engaging (and a much better deal) than the short-lived 1-2-Switch. Death Squared has an interesting premise. Ostensibly you play as David, an under-motivated employee of OmniCorp who is tasked with observing two cube-shaped robots as they attempt to navigate obstacle courses. Dave is accompanied by IRIS, an AI observer partner, but in reality you don’t play as either of them—you play as the little robots. In this way, the game has a clever meta-narrative; as you, the player, try to solve the puzzles and inadvertently kill the little robots over and over again, Dave will make fun of how dumb the robots are, and by extension, how dumb you are. It’s the kind of winking, do-it-for-science narrative that made Portal so popular, but I like it even better here because you don’t have GLADOS’s tedious passive-aggression. It’s just some shmuck who hates his job, and his straight-laced AI partner, bantering back and forth about your puzzle-solving skill. The running commentary is one of the best aspects of this game; it elevates a clever puzzler to a comedy. It also takes the sting out of failure when you blow up the cute little cube-bots or send them plummeting to their doom for the hundredth time. 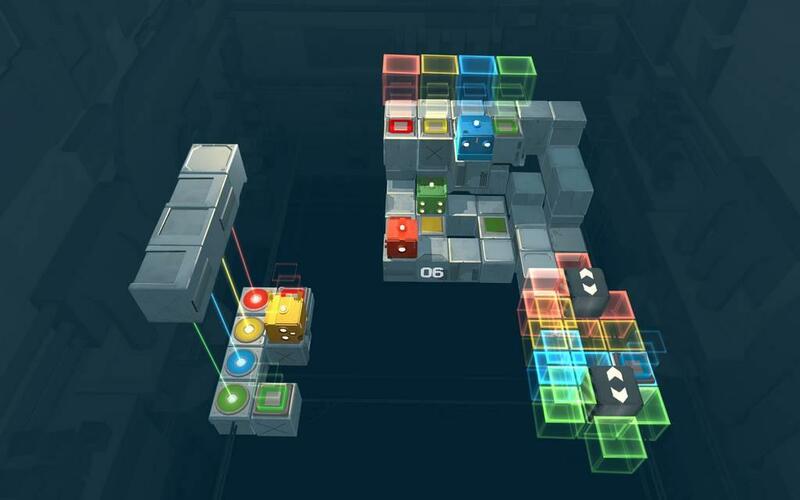 Death Squared is a game about trial-and-error, and while I typically hate gameplay like this, in this particular puzzler it works beautifully. 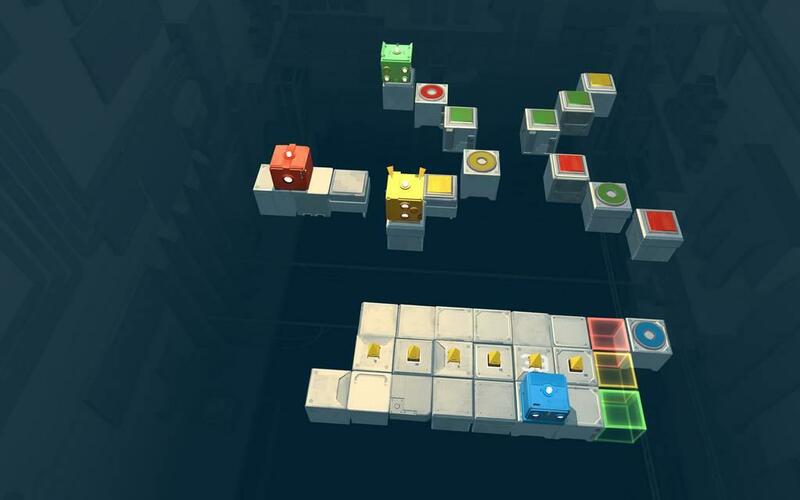 You must guide the two robots—one red, one blue—to their designated target spaces to complete the level. Each robot is assigned to one of the two control sticks, so you can move them simultaneously. However, this requires a lot of left-and-right-brain coordination, and it’s easy to forget what your right thumb is doing while you’re focusing on moving the other robot with your left thumb. It’s also easy at first to get your wires crossed and move the wrong robot, sending it into a trap or careening off the edge of the course. Naturally, the levels increase in difficulty and complexity. 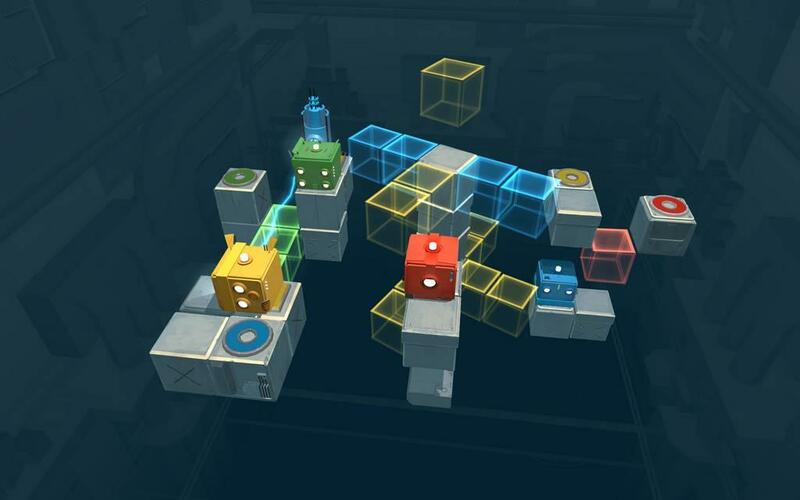 Soon you’ll be moving the robots onto paths of ghostly hologram cubes, color-coded so that one robot can move on them while the other falls right through. Red and blue lasers destroy same-colored robots but are blocked by the opposite color, so in many cases you have to use one robot as a mobile shield for the other. 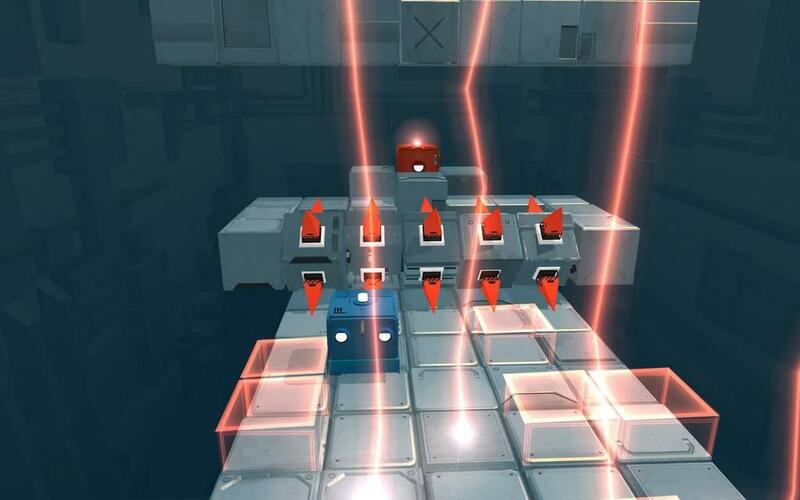 Switches that move platforms might also activate deadly spikes on the other side of the level, blasting your other erstwhile robot into scrap. It starts to get really interesting after the tenth level or so, when you have to maneuver one robot so it’s riding on top of the other. All in all there are 80 levels in the game’s story mode, which is a hefty chunk of content all on its own. The genius of Death Squared is that you don’t have to play it solo, and switching to multiplayer is instantaneous. Simply slide off the Joy-Cons, hand one to a friend and the story mode automatically becomes co-op, with each player controlling a different robot. 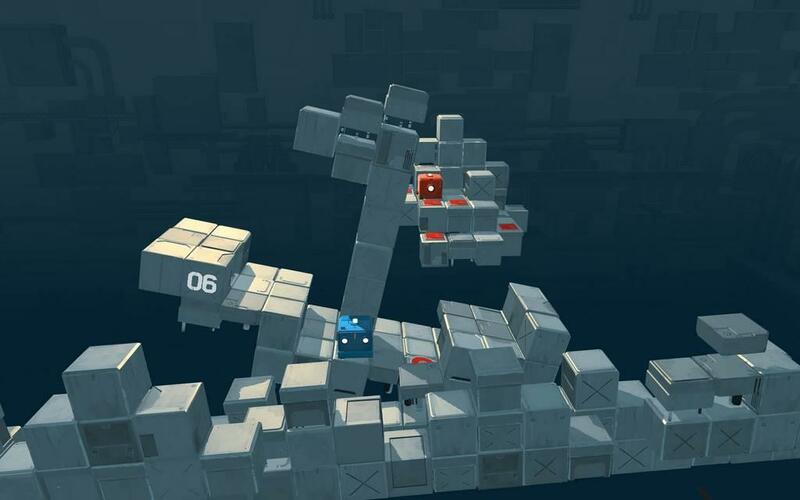 This is why the Death Squared feels tailor-made for Switch, almost as if it were a first-party title. Of course coordinating with another human brings its own challenges, but that’s the fun of this puzzler—it takes communication and patience. It reminded me of my best memories of Portal 2, trying to make it through the test chambers as Atlas, with my college buddy controlling P-body. 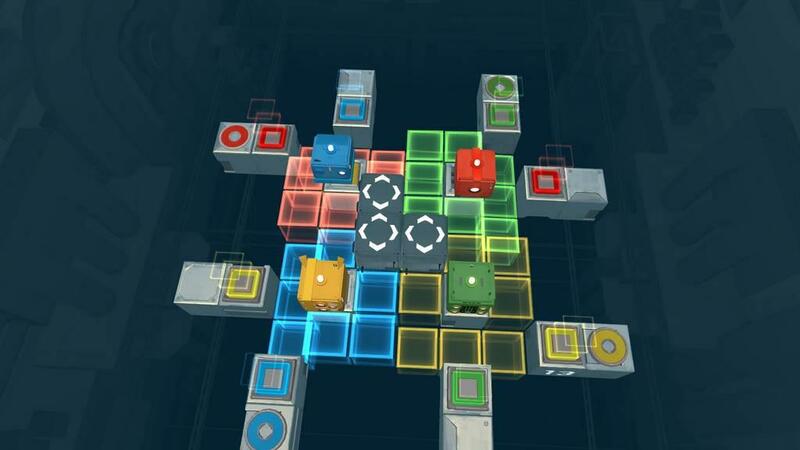 Death Squared also has a party mode with four robots: red, blue, yellow and green. Theoretically it can be played solo; each Joy-Con controls two robots now, and you switch between the two by holding down a button. That said it’s extremely cumbersome even for two people so I recommend picking up a couple more Joy-Cons if you want to indulge in party mode. 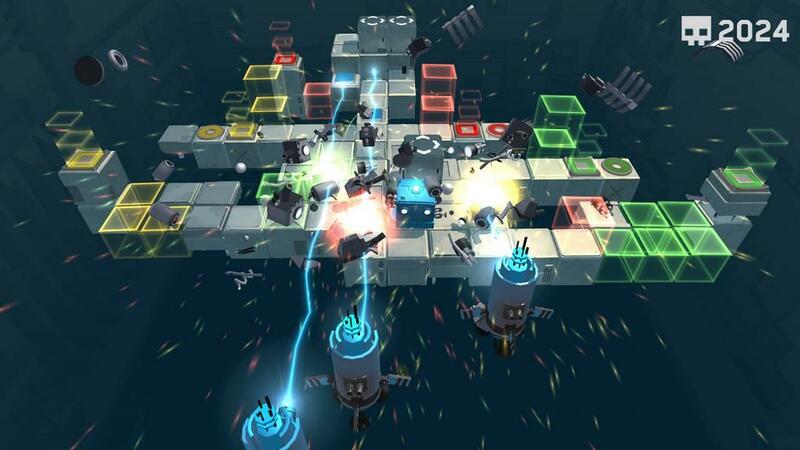 With four people trying to solve a puzzle at once—and the party levels get decidedly insane—Death Squared becomes the perfect Switch party game. It makes a great warm-up before a few rounds of Mario Kart and as I said, it offers much longer-lasting entertainment than 1-2-Switch. The best part is that Death Squared is a mere $15 on the eShop, which incidentally is the same price the game goes for on Steam. That’s nothing to sneeze at considering you get 80 story levels, 40 party levels, and 30 more hard-mode challenge levels when you clear the first two modes. Honestly there’s not much more I can say about Death Squared; its deceptive simplicity, sense of humor and accessibility are what make it so good. I can see why it stole the show at PAX last year. If you’re in the market for a funny, clever puzzler or just a great party game, Death Squared is a no-brainer. 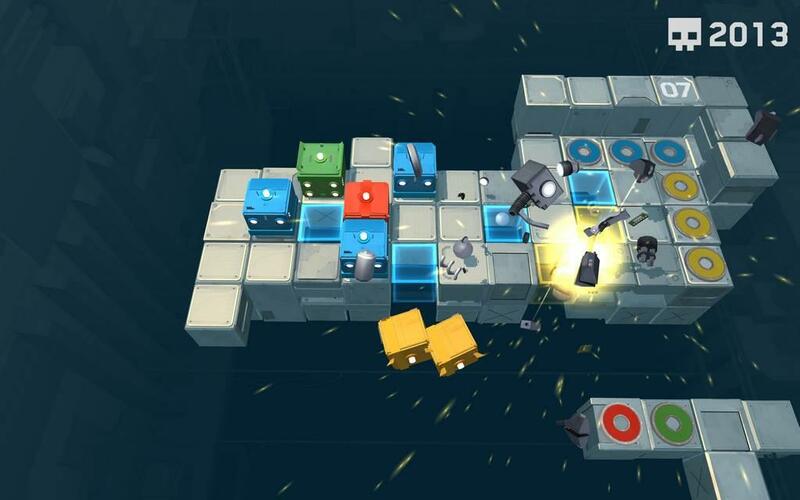 Death Squared might have launched on Steam, but it feels like this game and the Nintendo Switch were made for each other. 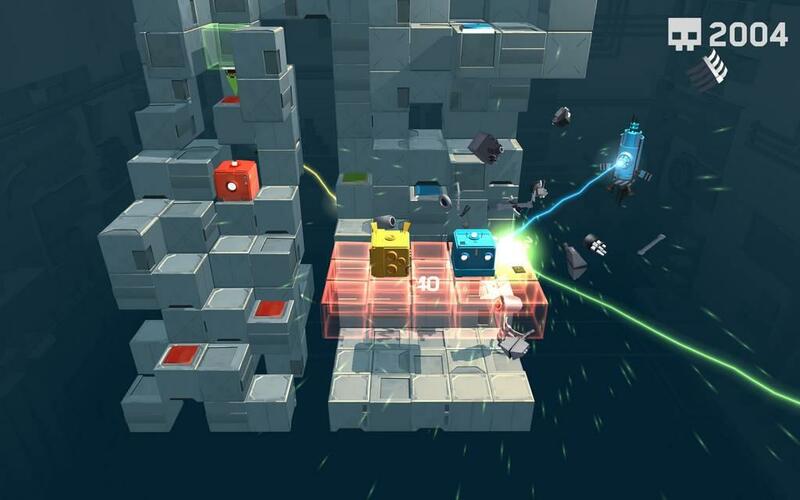 Deceptively smart puzzles, an endearingly smarmy sense of humor, and organic, instantaneous multiplayer all at a great price make Death Squared a must-buy on Switch.